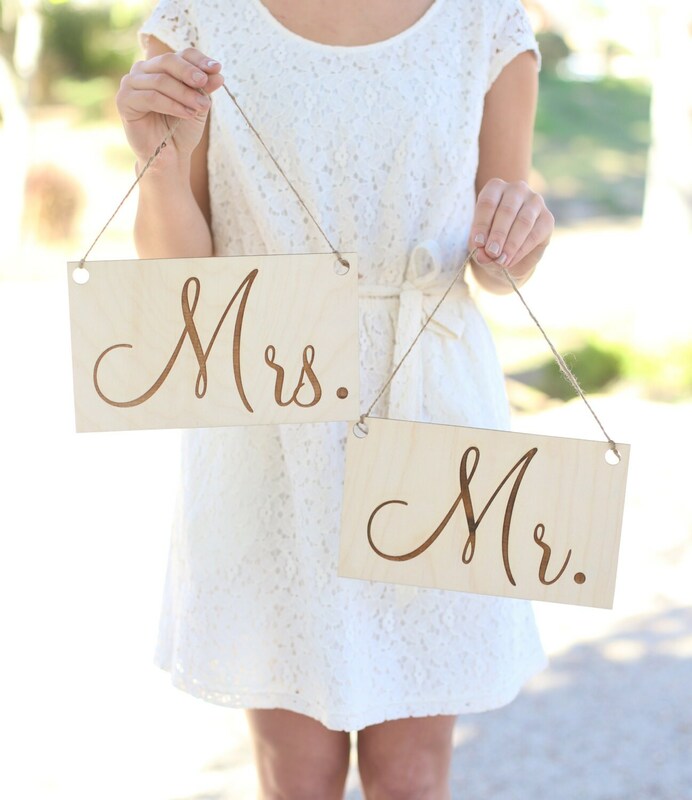 This gorgeous set of Mr. & Mrs. chair signs are totally rustic chic! 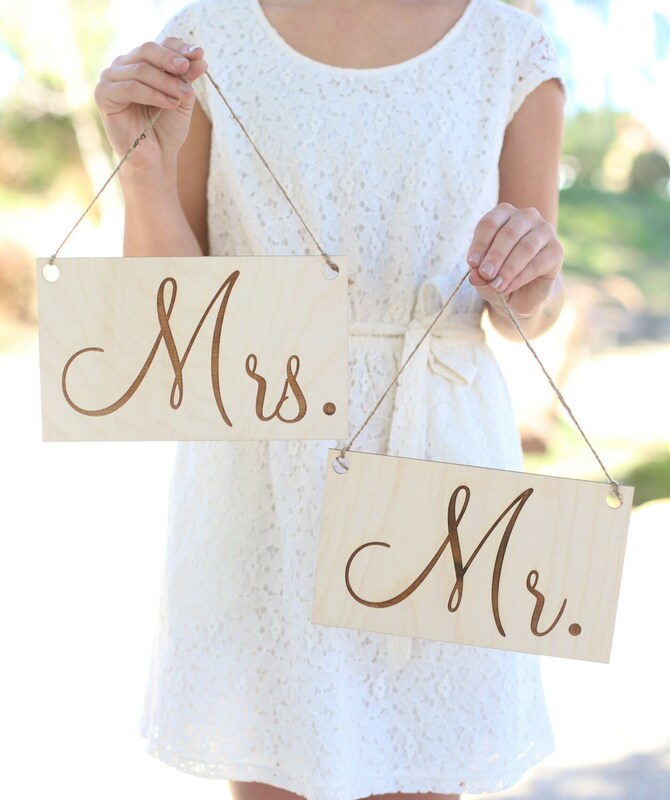 Engraved on natural wood with twine hangers in a beautiful calligraphy font! 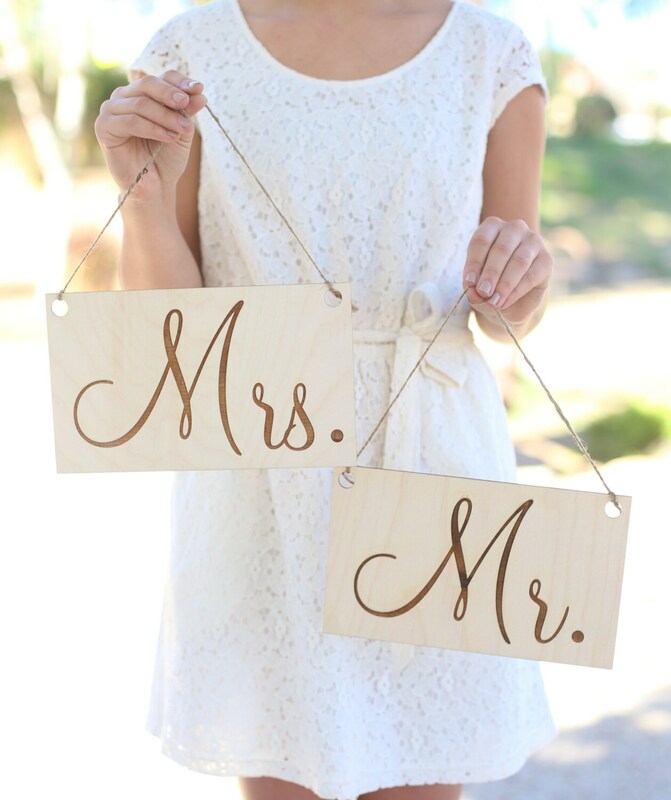 Each sign measures about 10" wide x 6" tall plus the twine hanger. This item does not come with any personalization options; however, we always love custom orders! If you would like do discuss a custom order feel free to convo us and we can chat about the details!